One of these following facts about Vltava might be really interesting for you to read. People know that Vltava is a the longest river in the Czech Republic, running north from its source near the German border in Sumava through Cesky Krumlov, Ceske Budejovice and Prague, merging with the Elbe at Melnik. 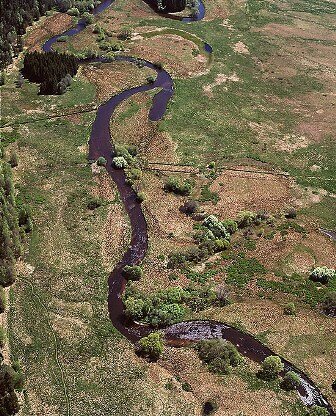 This river is 430 kilometers long and drains about 28,090 square kilometers. At their confluence the Vltava actually has more water than the Elbe and is even much longer, but joins the Elbe at a right angle to its flow so that it appears a mere tributary. The river is crossed by 18 bridges as it runs through Prague. It covers 31 kilometers (19 mi) within the city. 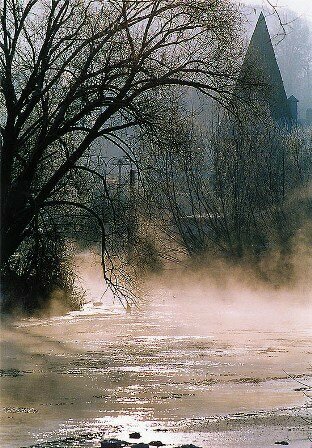 To get to know more about this river, here are some facts about Vltava you might like. Both the Czech name “Vltava” and the German name “Moldau” are believed to originate from the old Germanic words “wilt ahwa” (wild water). In Annales Fuldenses (872 AD) it is called “Fuldaha”: from 1113 AD it is attested as Wultha. In Chronica Boemorum (1125 AD) it is attested for the first time in its bohemised form as “Wlitava”. The water from the river was used for drinking. For instance, until 1912 the Vinohrady Water Tower pumped the water directly from the river. Several dams were built on it in the 1950s, the biggest being Lipno Dam in Sumava. In August 2002 a flood of the Vltava killed several people and caused massive damage and disruption along its length. There are large peat-bogs at the upper end of the Vltava river. Its valley is narrow and widens gradually. The only exception is the short section above the village Horni Vltavice, where the river flows through a defile valley, and has the character of a mountain stream. The average drop of the rive in its spring area up to Kvilda is 26.2%, in the following part, up to the confluence with Studena Vltava, the angle decreases down to 4.9%. From Lenore it flows through a large valley, which is today mainly filled up with the waters of the Lipno Dam whose slopes are covered with forests. The relatively small descent caused the river to meander, and thus created the so-called Heart of the Vltava. In another section up to Vyssi Brod, it regains the character of a mountain stream, flowing through a deep and narrow defile with a rocky bottom. Between Lipno nad Vltavou and Vyssi Brod Brod, the descent of the river’s bed is 20.2 %, in the section beginning 8 km from Lipno, ending at the railway station Certova Stena, the drop is 137 m. After the river discharges to the Ceske Budejovice basin, its bed is still relatively deep and narrow. The afforested slopes sometimes drop right to the river’s banks. The average relative descent in this section is about 2.12 %. The next part of the river bed is nearly empty, because the main stream flows to the hydro power plant at the dike of the dam, and then by the underground canal to the level tank in Vyssi Brod. Only in the following part, the river again flows through natural surroundings. The section below the Lipno Dam is called Certovy Proudy. 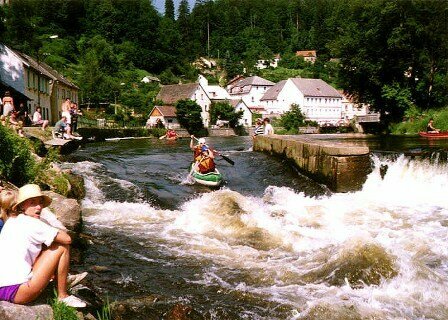 Up to Cesky Krumlov, the river is 144 km long. 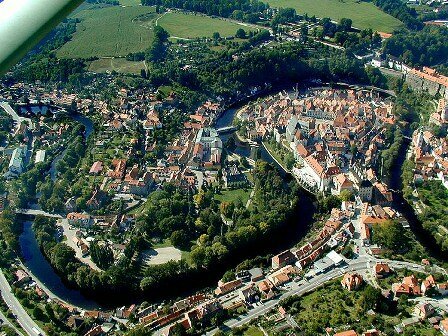 The area of the river basin up to Cesky Krumlov is 544.9 square km. The year’s average precipitation reaches 818 mm, and the average flow is 18.5 cubic meter per second. The German word Moldau, nowadays used by the foreigners, comes from Old Czech of the 13the century. Among other interesting facts are that the Vltava’s spring is in Šumava and halfway down the stream there is so called Vltava Cascade, a system of water supply schemes, including the well-known dams such as Lipno, Orlík and Slapy. Prague and the Vltava represent an attractive connection that offers you to enjoy some original views. A cruise is a popular activity of the tourists as well as the locals. They know well Prague has a special feel to it that way. Hope you would find those Vltava facts interesting and useful for your additional reading.